#001 These wooden bass measure approximately 21" long. Colors vary. 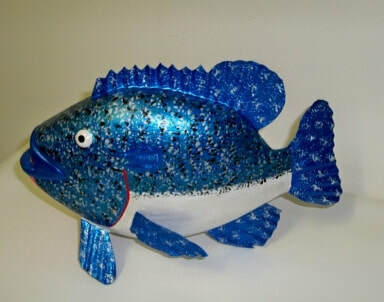 #002 Blue Gill These fish are carved from wood with metal fins. 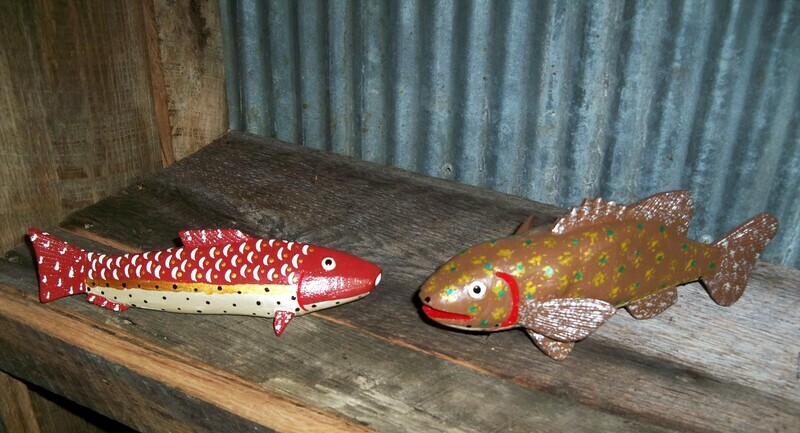 Each fish is approximately 8.5" t x 13" long. 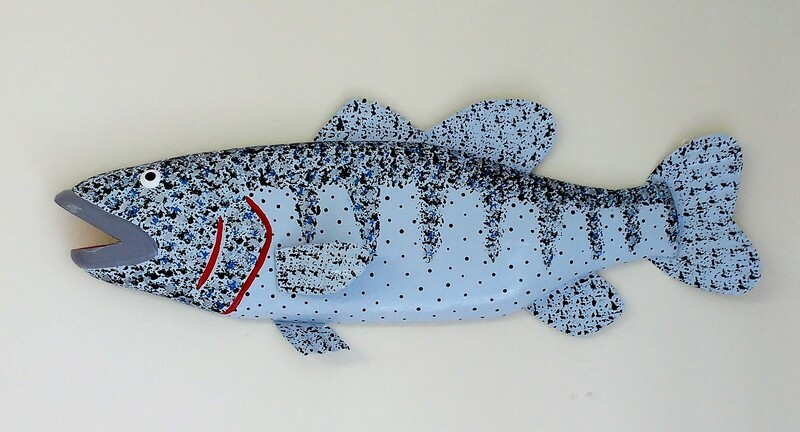 #003 Crappie This fish is carved from wood with metal fins. 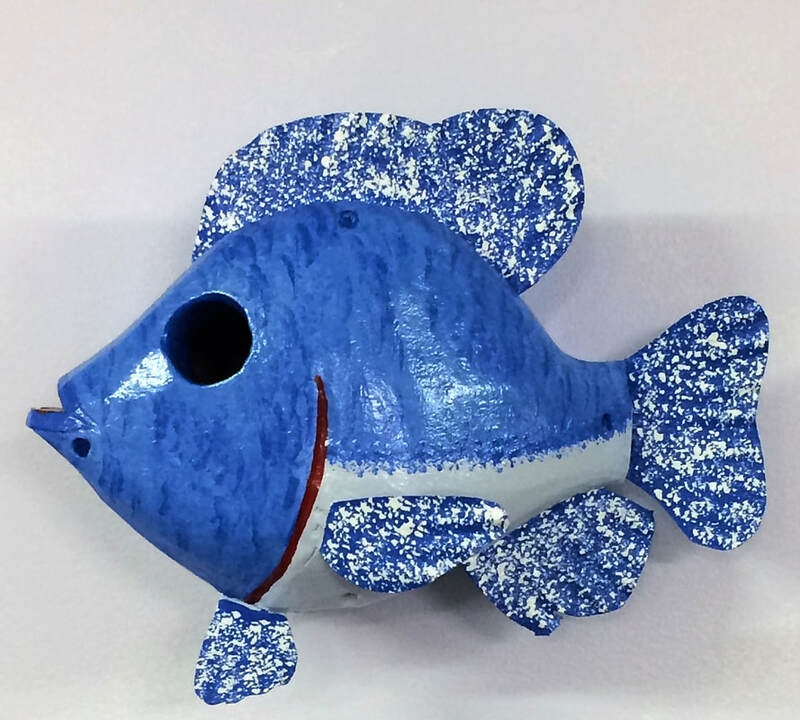 It stands approximately 10" tall and is 18" in long. 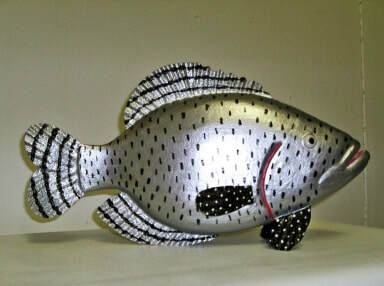 Silver with black coloring. 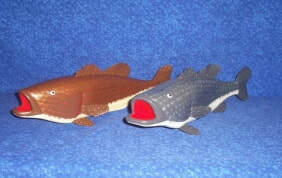 #004 Small Cat Fish This wooden catfish measures approx. 13" long. Colors Vary. 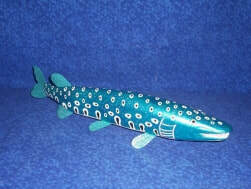 #005 Pike This wooden pike fish measures approximately 22" long. Colors vary. 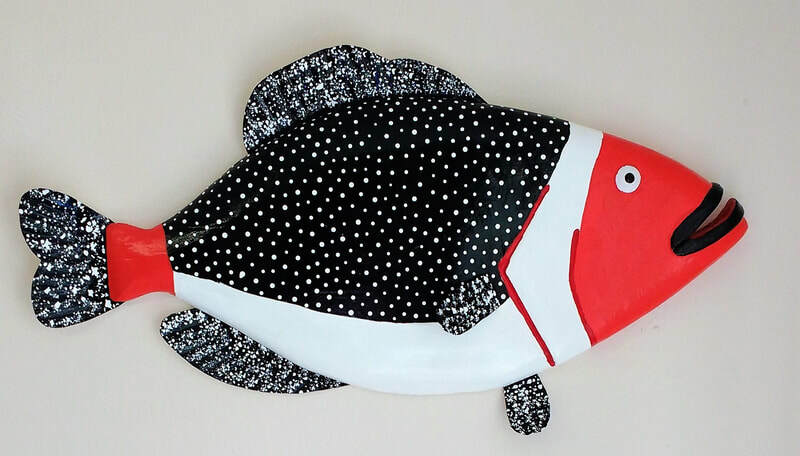 #006 Trout This wooden trout measures approximately 12" long. Colors vary.